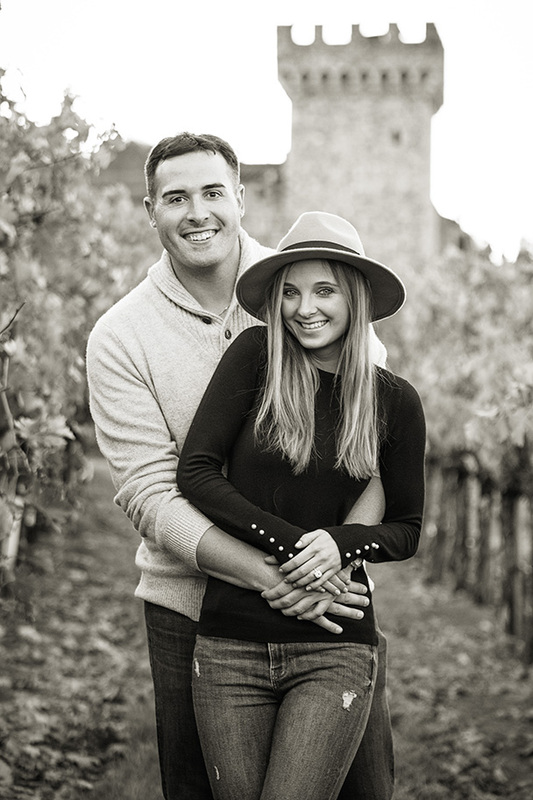 Sean called me up to ask if I can help him plan and photograph a Castello di Amorosa proposal. You see, Sean was traveling with Milena all the way from Connecticut to visit California’s beautiful Wine Country and oh yeah, to also propose marriage to his girlfriend :) He kept the proposal a surprise and we coordinated the day very carefully over a series of phone calls to make sure all the parts line up. 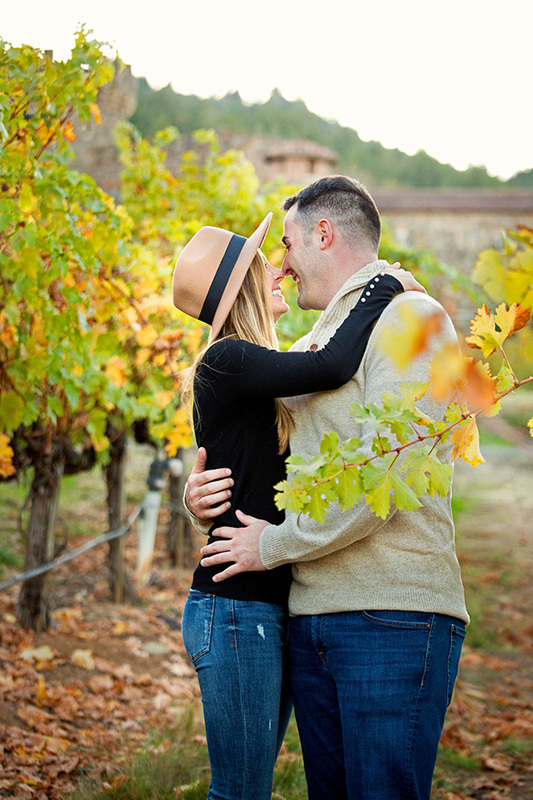 Although I didn’t have a chance to meet Sean before the proposal, we spoke many times to choose the perfect time of the day and just the right setting at Castello di Amorosa. Sean wanted to have a part of the castle visible through the vineyard and I wanted to make sure the light will be perfect. It all came together one sunny November day when I arrived to see the vineyard in beautiful fall colors. I felt so lucky to do this for a living, as I do often, because I was a part of something really meaningful and important. 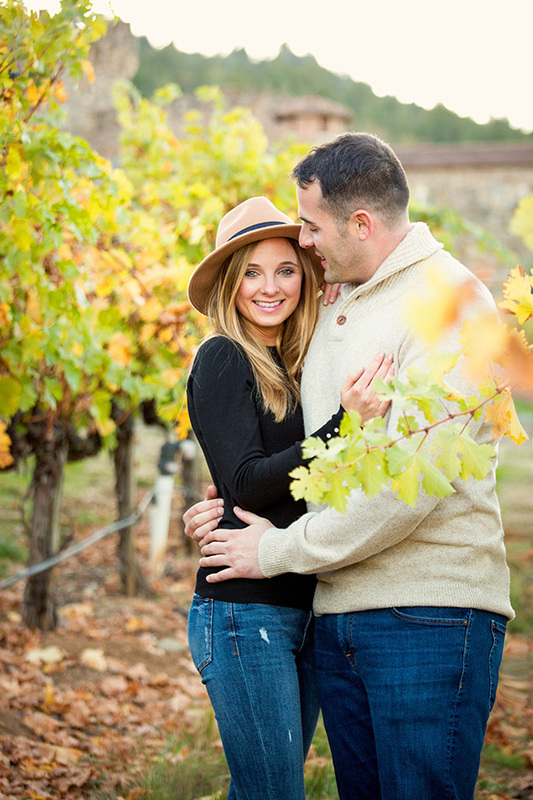 It was also hard to miss the beauty around me as I waited for Sean and Milena to walk down the vineyard row. I have to admit that I was probably at least as nervous as Sean :) I had my cameras hidden just out of sight as I waited for them to walk down. Sean’s plan was to tell Milena that I was a vineyard tour guide who is going to tell them all about growing grapes and winemaking. We were supposedly getting ready to walk all around the vineyard to view the different varietals. As I waited for them to arrive, I set a couple of pine cones on the ground to mark the spot where Sean was to drop to his knee. The funny part was that by the time Sean reached the cones we were all already chatting. When Sean tried to pause Milena’s walking and dropped down to propose, Milena naturally wanted to continue walking towards me because she didn’t realize what was happening. 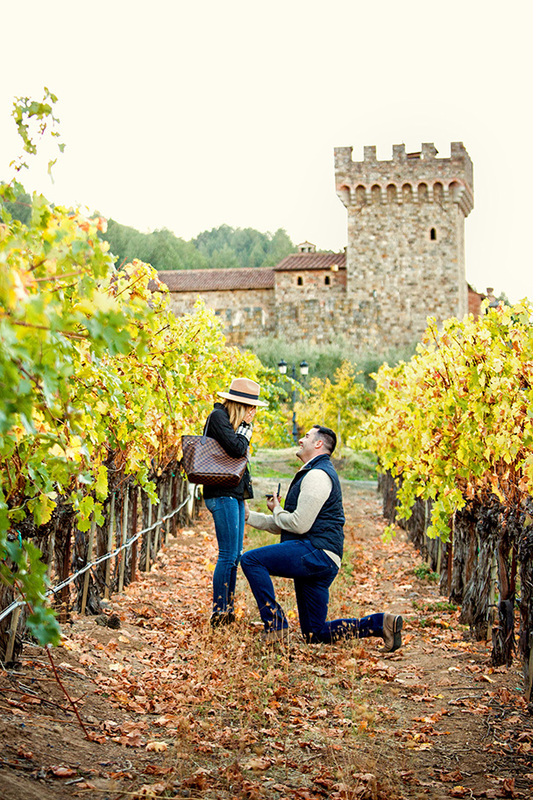 This beautiful Castello di Amorosa proposal was almost thrown off! As Sean kept talking, however, Milena understood quickly what he is about to do and from that point, all I remember is that I was pressing the shutter like a maniac. I wanted to capture every precious detail! 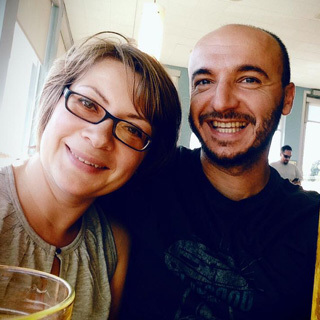 They started to cry, Milena said Yes, and I was having a hard time keeping my eyes dry as well. Afterwards, the couple walked towards me as I kept shooting because I wanted to capture every precious second of this sweet proposal. 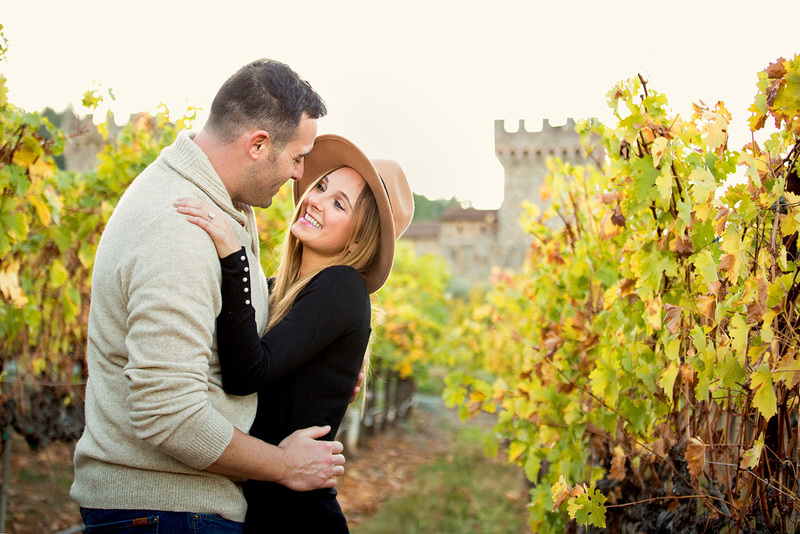 Milena touched up her makeup from all the crying and we continued to walk around the property to capture some Castello di Amorosa engagement photos. We were all giddy with excitement and this was a very special way to get to know someone. Sean shared just how much planning went into his proposal considering it took place all the way on the other side of the country. 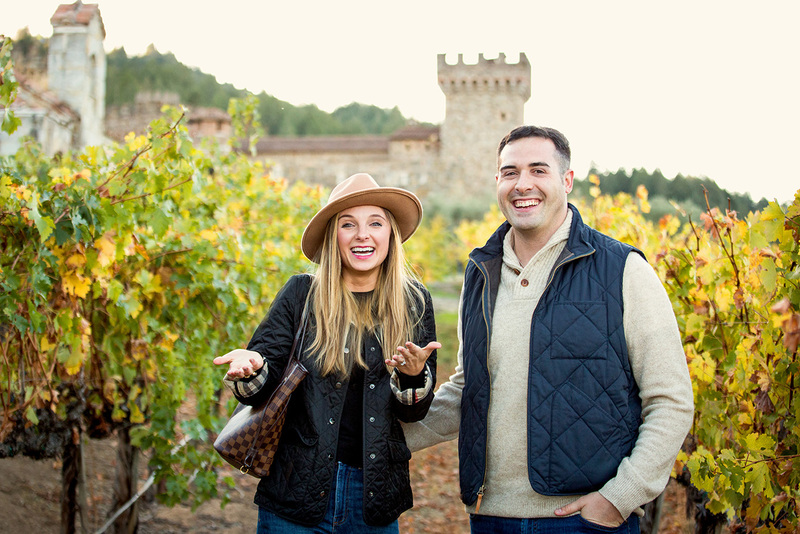 Now, it was time to plan a winery wedding back home. It was such a joy to share these precious moments with them. Thanks so much, Sean and Milena. 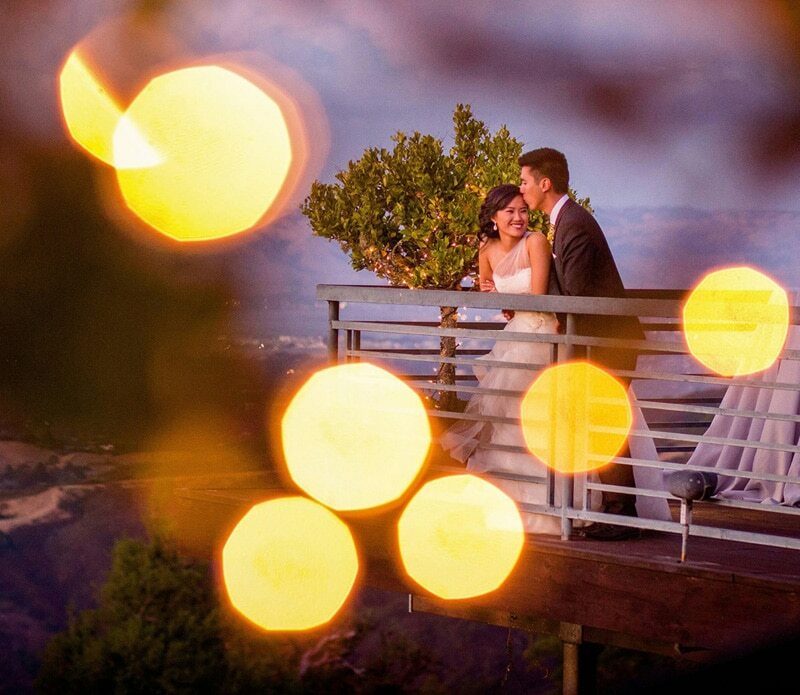 I loved photographing your special moments. Wishing you a lifetime of happiness together! What a fun and beautiful couple! & kudos to Sean!!! Well Planned ”” ;) if they decide on a destination wedding I’m sure they’ll be reaching out to you in a heartbeat to capture the special day!!!! Thanks Inna! This was so much fun. Really appreciate your comments.